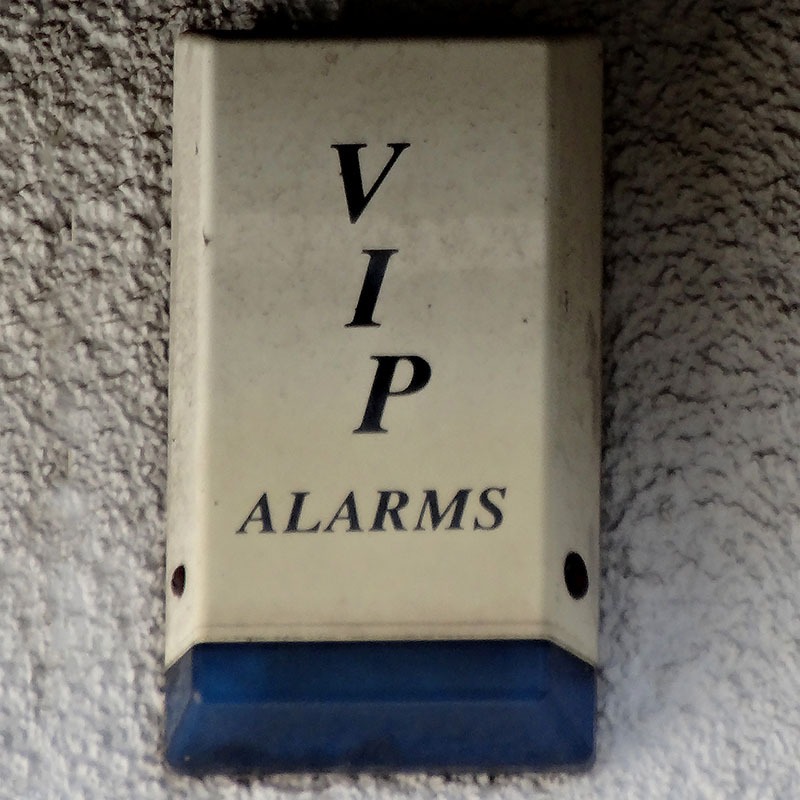 VIP Alarms, Cannock, Staffordshire, 2016 (by Sarah Hoyle) • Another from Sarah Hoyle, in the awkward diagonal logo and status symbol categories: “Makes me think of an alarm as a status symbol” says Sarah. Indeed. Great snap, although ironically given the name I suspect it’s a Novagard ‘Merit’ – amongst the cheapest ‘ready assembled’ (i.e. all the gubbins inside) bell boxes ever made before it was common for these items to be made in China and half the price.